Brokenness is part of our lives and it becomes more painful on days when we seek to celebrate special days. Mother’s Day is one of those celebrations where we honor Mothers but recognize the reality of infertility, giving up children by choice or by law, Moms that are no longer with us, and Moms who used their role for abuse rather than for nurture. How do you celebrate Mother’s Day and still keep it real? 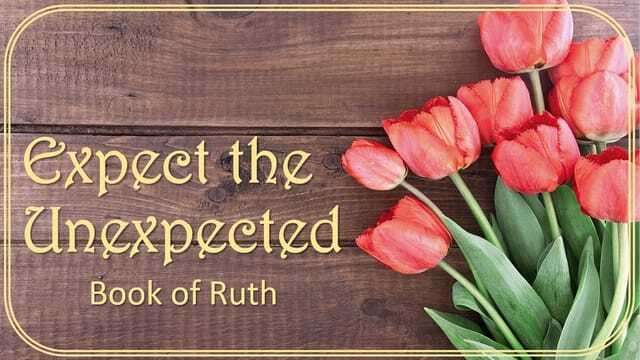 Join us as we look at the story of Ruth in “Expect the Unexpected.” . Mentioning Mother’s Day in worship is just tricky. There’s no formula. So perhaps we acknowledge that most families are messy. Or maybe we make a mental note to also mention birth moms on one of the other fifty-one Sunday of the year. Perhaps we simply admit that it’s a difficult day for many. Or we acknowledge that God is keenly aware of all that we hold in our hearts. On Mother’s Day, the best we can do is to keep it real.